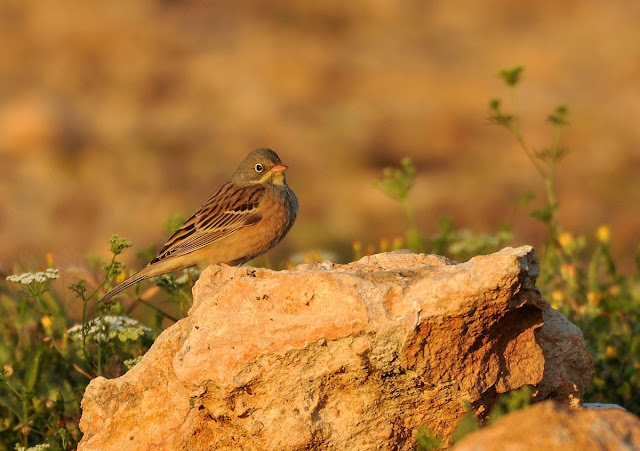 Below are some of the bird images of the day on a two week visit to Cyprus. 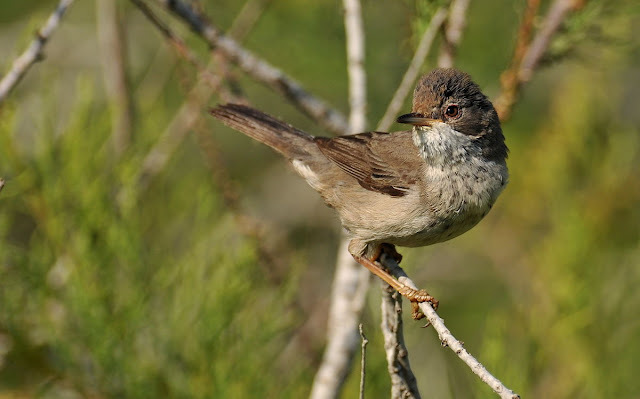 The above shot is a female Cyprus Warbler, one of two endemic species on the island. 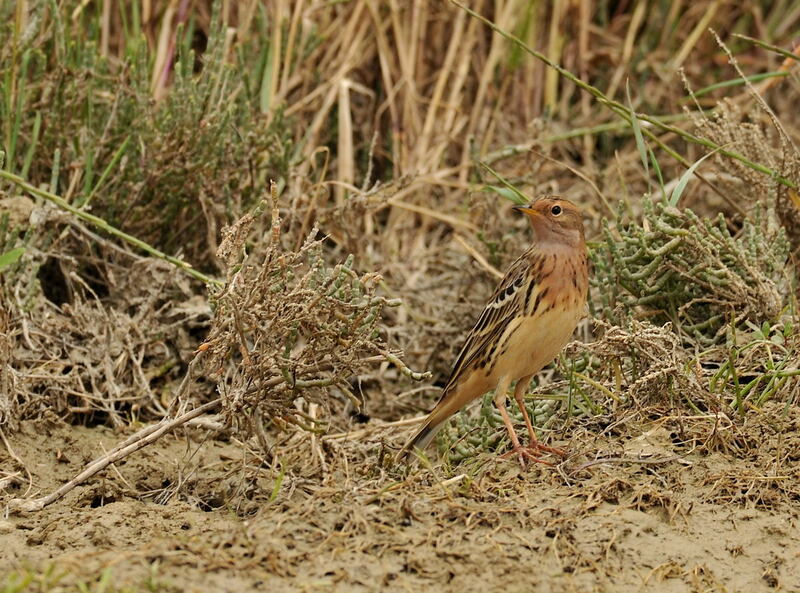 The images below include Ortolan Bunting, Red-throated Pipit, Common Crane and the rarer Demoiselle Crane. 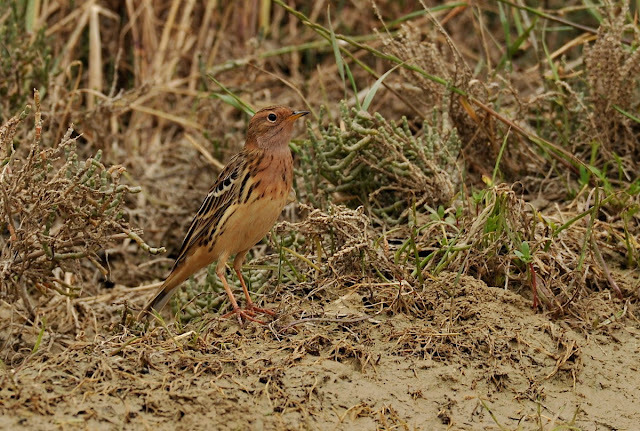 The latter was a special find as the species is normally only encountered during autumn on its' migration through the island. Red-throated Pipits were common on this trip and all were in full summer pluamge with their red throats and generally rufescent tones. 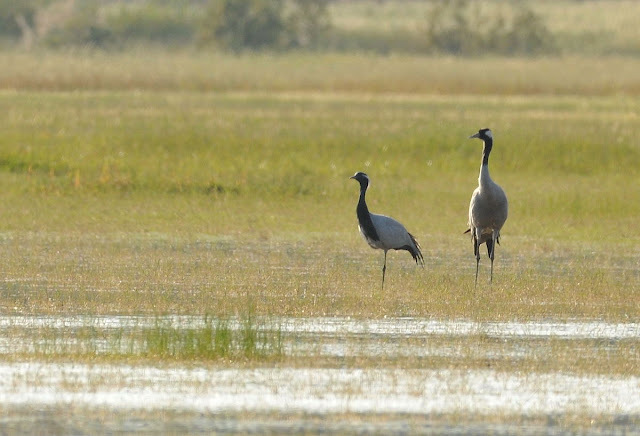 Over the two week period, several hundred were logged. These two stunning cranes were a special highlight and unusual together. Further species logged on this first day of travelling included 12 Purple Herons, 1 Squacco, 2 Cattle Egrets, 2 Night Heron, 2 Glossy Ibis, 2 male Pallid Harriers plus many of the more regular species normally found here eg Rollers, Hoopoes, Ortolans, Calandra Larks, Great Spotted Cuckoos. The Cornish crew included Steve Kolodjiezski (Wendron), Peter Maker (Truro), Bob Bosisto (St. Columb) and myself (Truro). Over the next few weeks, I will be posting a daily blog update on events. Wow - wonderful series. Love the Cranes. Looks like you had a superb trip and as JR said I am looking forward to the rest. Hopefully I will get a sneak preview in the shop. 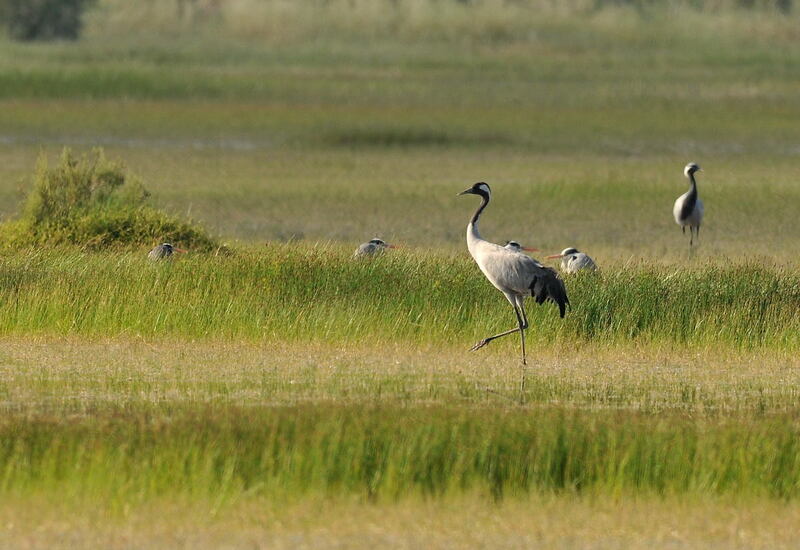 Just knew you wouldn't disapoint - love those Cranes - looking forward to the rest !